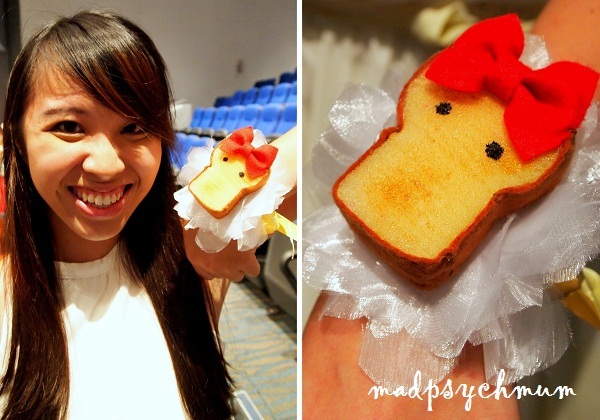 The most creative of all my friends was getting married, in a bread-themed wedding. The reason for this unique choice of theme was due to the many breakfasts (i.e. roti & kopi) that the bride's then-boyfriend-now-husband bought her every morning when he was courting her. 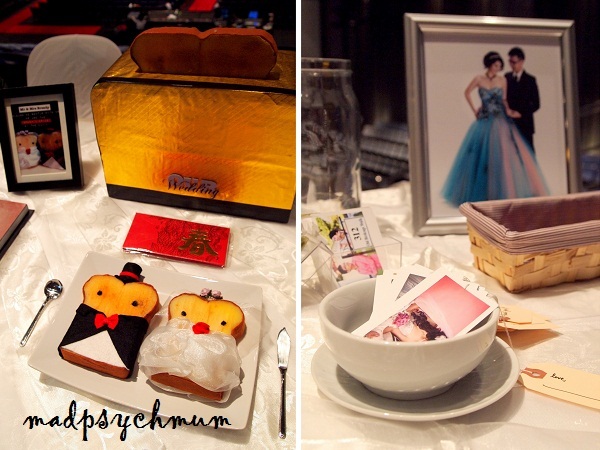 Right: Her "guestbook" was "tea bags" made from stringing labels onto small printouts of their wedding photos. 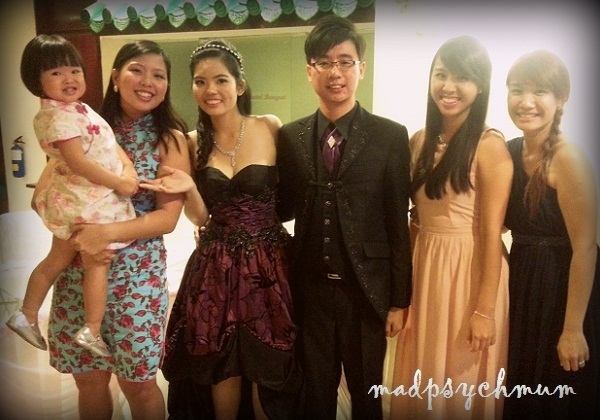 Even the corsages for the bridesmaids and groomsmen were specially handmade by her according to the theme! 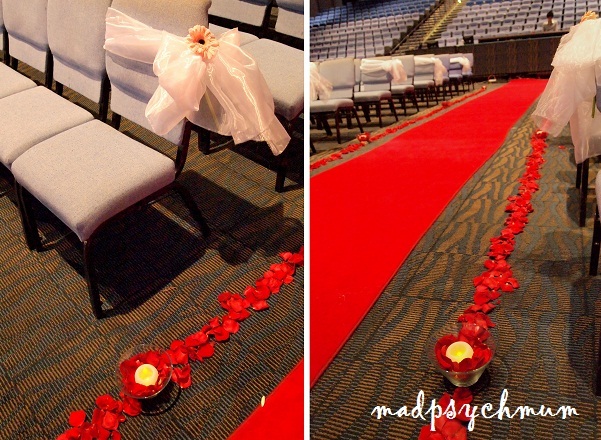 The aisle of the hall was lined with a red carpet, which was flanked with red rose petals on each side. White cloth were also tied around the chairs into a bow, with a stalk of her favourite pink daisy in the middle. Following tradition, the bride and groom will be lighting their unity candle and having their first holy communion together as a couple after exchanging their vows. 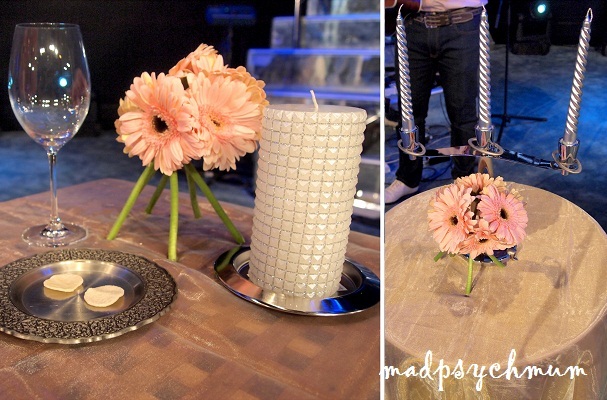 We decorated the tables simply with bunches of pink daisies. For the signing of the marriage certificate, we kept the table decorated only with pretty pink daisies. However, as she also designed cute little cartoons of Mr & Mrs Bready herself, I thought it would be cute to hang them on the chairs that they will sit at to sign their certificate. When we were done with the decor, I scooted to the the back room to check in with the bride. 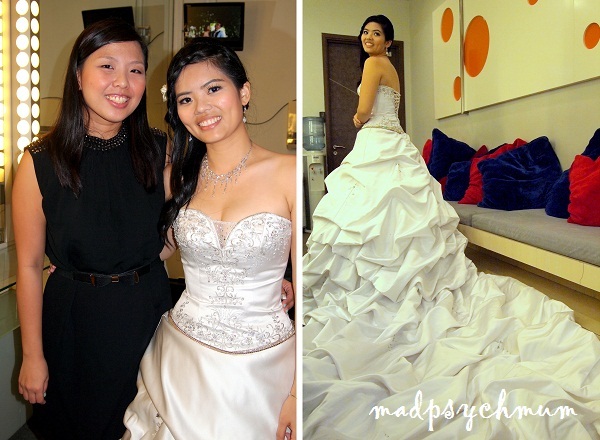 She was wearing her white wedding gown and looked absolutely ravishing in it! 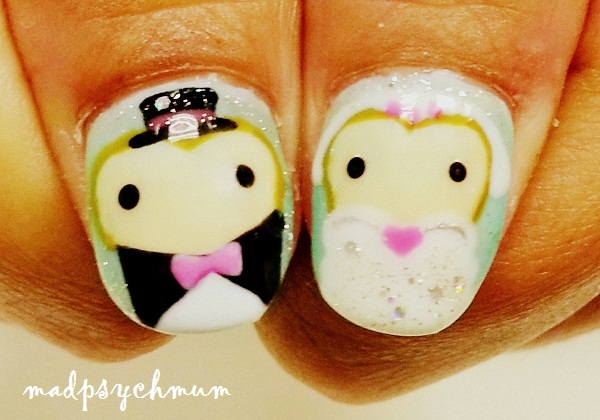 Congratulations to Mr & Mrs Bready!